The inhabitants of the Crimea, and even the their most organized and active part, will not be able to make a decisive contribution to the liberation of their land under occupation conditions without the risk of being destroyed or subjected to deportation and genocide. 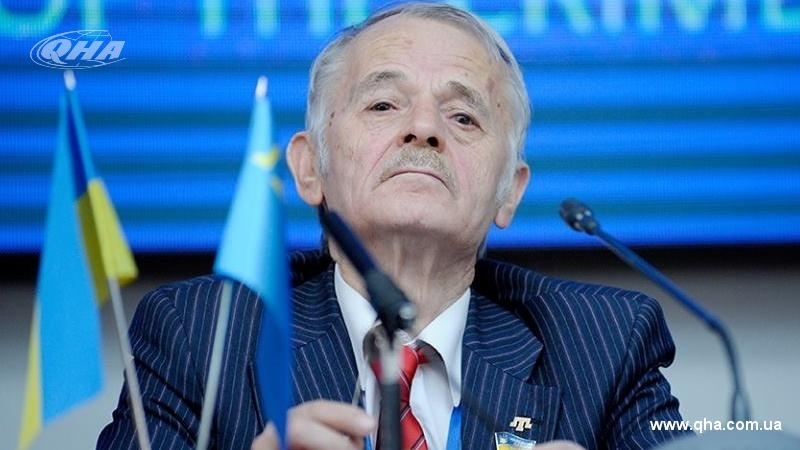 The leader of the Crimean Tatar people, Presidential Commissioner of Ukraine for the Affairs of the Crimean Tatar people Mustafa Dzhemilev made a corresponding statement today, November 12, at the conference of delegates of the Qurultay of the Crimean Tatar people. Thus, the residents of Crimea cannot defend their rights through rallies, pickets and other democratic methods and cannot express their views in the media. But, according to Dzhemilev, there are many things that can and should be done in the Crimea. Thus, Crimeans should record the facts of human rights violations and the names of the people who commit these lawlessness, and report them to the office of the Mejlis of the Crimean Tatar people in Kyiv. In addition, Crimeans can track and record the facts of damage to the ecology, landscape, cultural values of the Crimean Tatar people. Also, Crimeans must collect and transfer documents, data indicating the mass resettlement of Russian citizens in the Crimea. Dzhemilev urged the Crimeans to ignore and boycott all the "performances under the guise of elections" conducted by the occupiers, and not to participate in the propaganda campaigns of the invaders. He noted that Crimeans should not attend mosques, where imams (heads of temples) are the appointees of an FSB-backed Muftiate. The leader of the Crimean Tatars also called a number of factors influencing the liberation of the Crimea. According to Dzhemilev, strengthening stability in Ukraine plays a major role in this matter. So, the Kremlin should not be allowed to interfere in the elections. The conference of delegates of the Qurultay of the Crimean Tatar people started with the Ukrainian and the Crimean Tatar anthems, after which the delegates said the prayer. The Ambassador of the Republic of Turkey in Ukraine, Yonet Can Tezel, who participated in the conference, stated that Turkey refused to recofnize the annexation of the Crimea and will never recognize it.